Designers have to deal with plenty of new tasks so for them nothing is tough or difficult because they have already tons and tons of ideas in their precious minds that whenever they are up to design a new thing, they just have to monitor their brains and locate the creative ideas that are there in the jumbled up form. Who does not go for shopping, we love to buy new things for our houses because it feels good to renovate the house or bring in new clothes to wear, not only women but men these days show the same interest in shopping. When we get to fetch the stuff from the malls, we need proper shopping bags that can be reliable hand carries so the luggage, goodies and stuff don’t fall off the floor, for this reason shopping bags with good and firm handles are preferred. Today I designed free simple black shopping bag mock-up to help you with your current or upcoming project. 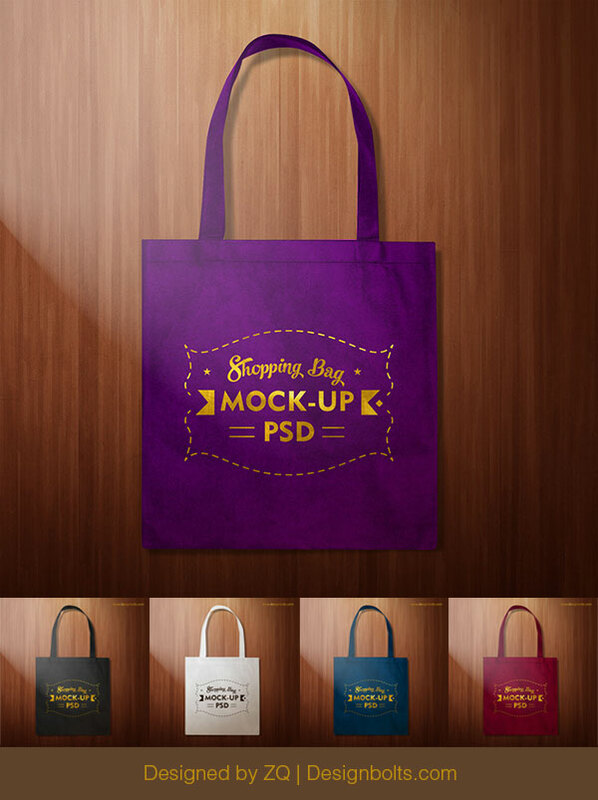 Just insert in your own design into this mockup and show it up to your client straight away for his approval. I am sure it will ease you up and will add to a spark to your design. Our best endeavors are done to surprise you, accommodate you and entertain you in every possible way. Because we have diverse viewership by the designers, some seek logo designs, business cards or typography posters while others download our mockups and PSD files. We love to do things for each one of you, as each one of you is as important as the other for us. Your feedback is always overwhelming, it makes us know what more we may improve, omit or add to the collection. Do come back for more such freebies that we are about to bring before you in the coming few weeks. Thank you so much! I have been looking for something this since a few days ago.